JPG/JPEG is a graphics format which suffix name is ".jpg" or ".jpeg". It is a common format for storing photo images, so we can use digital cameras, phones or other devices to get a lot of JPG/JPEG files. Occasionally, we will be confronted with JPEG files loss due to accidental deletion, formatting drives or other unknown causes. No matter what kind of reasons, we are now should care about how to recover JPEG files under Windows or Mac OS X, right? For most users, they don't know how to recover JPG or how to do Windows/Mac JPEG recovery and think it will never be found after lost. However, with the development of JPEG recovery technology, we can easily and quickly recover JPEG files from Windows, Mac or removable drives. 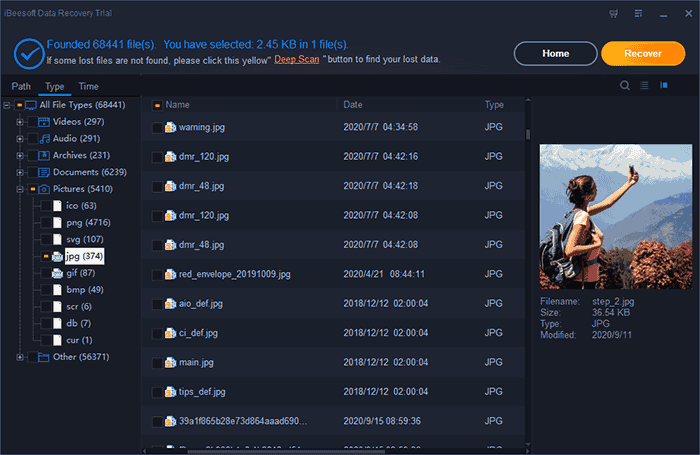 If you want to get lost JPEG files back, please read this article and I will show you how to recover deleted/lost JPEG files quickly and effectively. On the Internet, there are many such file recovery software. Finding a good JPEG recovery software is the key factor to recover deleted, lost or formatted JPEG files. iBeesoft Data Recovery is a great choice, this professional JPEG recovery software developed using the latest technology. 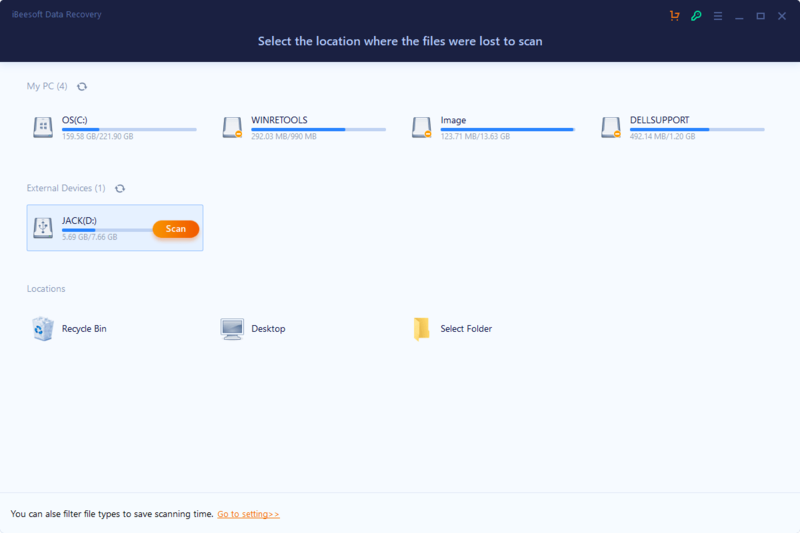 The file recovery tool can filter other types of files to speed up the scanning speed. 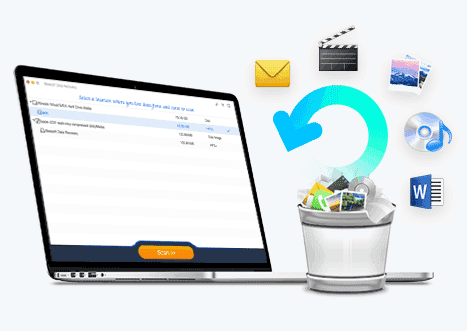 It is 100% Safe and read-only Windows and Mac photo recovery tool can get all lost or deleted JPEG files back only three steps. Supports almost all image formats, like JPG/JPEG, TIFF/TIF, PNG, BMP, GIF, PSD, CRW, CR2, NEF, ORF, RAF, SR2, MRW etc. Supported recover JPEG files from PC/laptop, digital camera, SD card, hard disk, external hard drive, and more. Supports preview image to guarantees JPEG recovery Mac/Windows quality. Step 1. Install the JPEG Recovery for Windows or Mac version to your computer. please only keep the "Pictures" is selected and click the "start" button. If you want recover JPEG files from an external device, please connect it to your computer first. Step 2. Select the location where you lose JPEG Files and click "Scan" button to recover jpg on Windows or Mac. Step 3. After scanning, all the deleted or lost JPEG files will be listed. You can select them and click "Recover" button to get back your JPEG Files.